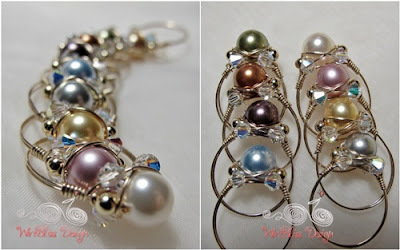 Just showing some wire wrapped Swarovski pearl rings that were completed few nights ago. 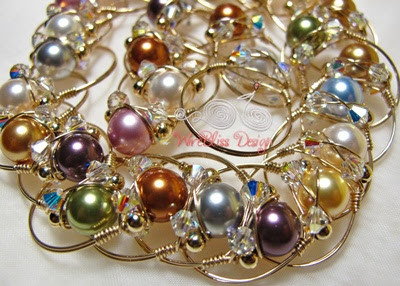 They are really lovely - Swarovski Pearls. Planning to get more of them for other projects later. the tutorial at my Etsy shop, click Sparkly Crystal Ring Tutorial. Lovely rings Mei...they show off the Swarovski pearls nicely! I love pearl jewelry. Pearl jewelry is more demanded because it can be worn on any occasion. They are unique designs and variety of jewelry.